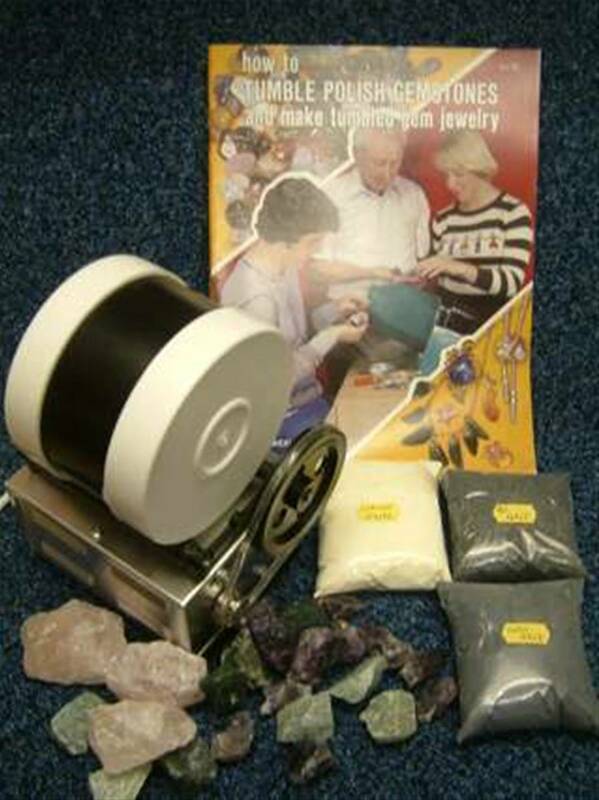 MACHINE SUPPLIED WITH INSTRUCTION BOOKLET 'HOW TO TUMBLE POLISH GEMSTONES' AND ALSO 3 PACKS OF GRIT SUFFICIENT TO COMPLETE SIX BATCHES OF STONES & 1Kg GOOD GRADE MIXED ROCK. PLEASE NOTE THAT FOR THE TIME BEING WE WILL BE SUPPLYING AN ALTERNATIVE BOOKLET AS THE BOOKLET ILLUSTRATED IS CURRENTLY OUT OF STOCK.!!<>!!!!<>! !